Our second Corporate Social Responsibility initiative promoting healthy lifestyles is the Danone Nations Cup. This football competition promotes the importance of regular exercise to keep fit and healthy and to ultimately fulfil future dreams. 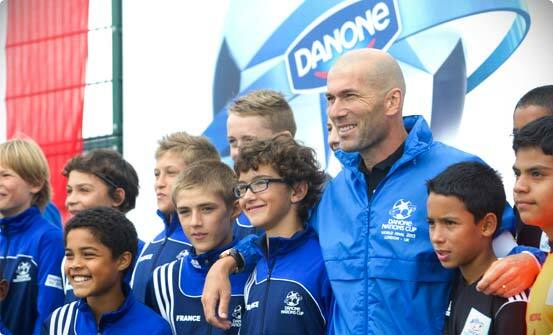 The Danone Nations Cup is the world’s biggest international football tournament for 10 to 12-year olds. From England to Indonesia, China to Mexico, 32 countries participate each year in making the dreams of some 2.5 million boys and girls come true through a unique and unforgettable experience. 400 children play in the international final, held in year in a prestigious stadium. Past venues include Le Parc des Princes (Paris), the Orlando Stadium (South Africa), Bernabeu Stadium (Madrid) and Wembley Stadium in London in 2013.